People keep asking me when I am going to write about #MeToo. They ask if I wrote about #MeToo in my recent book, Sexism Ed, but I didn't. They ask if I think the academy will have a #MeToo moment like other industries already have, but I am not sure we will. They ask what I think of #MeToo, but I dodge the question. I don't want to think about #MeToo, but I can't help but think about it. #MeToo stories inundate us; high‐profile cases garner attention with all of their terrible details. And yet, every time I open up my laptop to write about #MeToo, I stare at the blank screen and freeze. Because to write about #MeToo would require that I consider my #MeToo moments. I would have to account for the fear, hurt, harassment and abuse. I wonder what would happen if I said #MeToo and offered up my story. 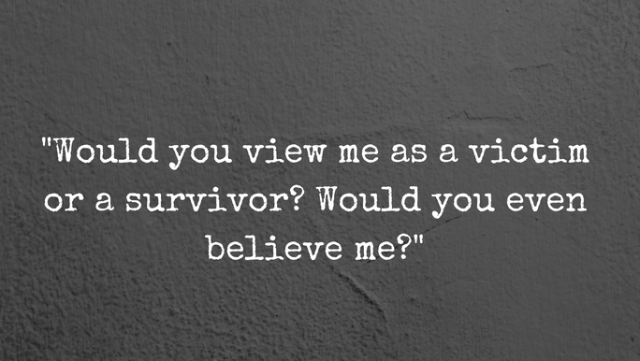 Would you view me as a victim or a survivor? Would you even believe me? For as long as I can remember, men and fear were inseparable. I knew to be afraid of men. Fear could save me, unless it didn't. I've always been afraid of men. I could start with my biological father, his rage and my terror. I could start with childhood abuse, mental and emotional, and its lingering effects. I could continue with how I flinch and cower still when men invade my space or raise their voices. I could talk about nightmares and cold sweats. Trauma occupies your mind and body with sharp claws that never seem to let go. But instead, let me tell you what it was like to be a woman in the academy. There was the English professor whose hands lingered on my shoulders, and eyes on my chest. He always seemed to be close to my desk, so I skipped class week after week to avoid him. When I was an assistant in the American studies department, there was my office manager, 10 years older than me and married with a wife and new baby at home. He kissed me in our shared office. When I reported him to the chair of the department and our boss, the chair downplayed what had happened by suggesting that I was overreacting. He told me that this kind of allegation could ruin a man's career and life. What had happened to my life didn't matter at all. I quit that job as soon as I could, despite needing the money, because I no longer felt safe. There was the male graduate student—supposedly a colleague and friend who shared the same suite of offices as me—who constantly commented on my looks while leering and making inappropriate comments. We were separated by a thin temporary wall, so I learned his schedule and how to stay out of the office when he was there. The classes we shared were unavoidable. I thought he was a friend; he thought I was an object. When I attended my first national conference in religious studies, I went to the reception with a close friend, who was also a woman. Within minutes of being there, an older professor wandered up, drink in hand, and clumsily hit on us. We refused his advances. He wouldn't leave us alone, so we left. I never attended that reception again. There was the time I wrote a recommendation for a male student, who wanted to meet for drinks after work to thank me. At first, I tried to get him to have coffee instead. He insisted on drinks, and I refused. Then, he started sending me harassing emails, demanding that I meet him. I started scanning the parking lot for his face, rushed from the elevator to my office and worried that he would show up at my publicly posted office hours. At one school, a full professor decided I was a threat. Maybe it was because my classes filled up and his didn't, because I wrote a book, because I didn't hang on his every word or because I was a young woman and maybe he hated women. He belittled me to colleagues and students. He bullied me by telling me I only had opportunities—that he wasn't offered—because I was a woman. He came into my office because he thought he was entitled to my space. I started leaving my door shut and bought a coffee pot, so I didn't have to walk past his office to the communal pot. When I finally complained to the head of our department with tears in my eyes, she called us both in and made me apologize to him. I had hurt his feelings; my suffering didn't even matter. She refused to recognize gender‐based discrimination and a hostile work environment, and I alone suffered the consequences. And yet, this feels like only the tip of the iceberg, the only stories I can share because they are the only ones I am ready to face. But, I can also feel the torrent underneath, all the #MeToo moments I can't articulate yet. The stories I don't have the words to speak. I can feel them like a drumbeat: me too, me too, me too. I say me too because I survived. You can survive too, whether you share your story or not. It's your choice. Just know you aren't alone. It was #MeToo.